Market basket analysis is an analytical technique that helps in predicting customers’ future purchase decisions. Market basket analysis is one of the most commonly used technique in retail to boost sales. It enables retailers to yield insights into the sales patterns of any product by analyzing online browsing behaviour of customers and historical sales records. 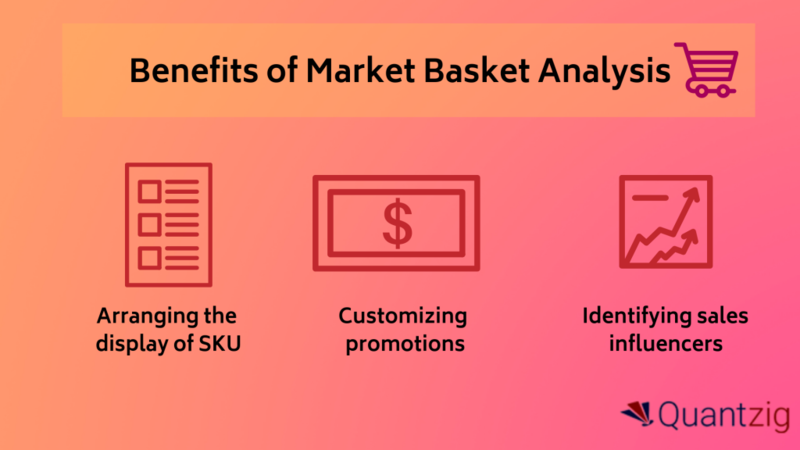 The method of market basket analysis is used to improve marketing effectiveness and increase opportunities for up-sell and cross-sell significantly. The primary objective of market basket analysis model is to identify the next product that the customer might find interesting and worth buying. Market basket analysis works on related products that occur together frequently in transactions. It aids retailers to identify the similarities and relationships between items that customers buy. Market basket analysis can help you track key metrics such as average spend per basket and average profit per basket. Want to know how? Request a FREE proposal today. What are the Benefits of Market Basket Analysis? Market basket analysis helps in identifying products that have a close affinity to each other in spite of falling into different categories. This information can help retailers to place the products with higher affinity close to each other to boost sales. For instance, if chips are placed closer to a beer bottle, there is a high probability that customers may end up buying both. On the contrary, if they were placed in two extremes, then it is highly likely that the customer would just visit the store, buy beer and leave causing loss to the sale of chips. Market basket analysis helps online retailers to analyze buying behaviour of every individual. Such analysis can help in estimating what items the customers may purchase at a specific time. For example, a customer who likes barbecues would most likely buy barbecue sauce and meat on weekends. So, this way retailers can customize special offers on weekends to increase the purchase frequency. Our real-time analytics and market analysis solutions can help retail companies to improve sales effectiveness. Request a FREE demo below to know how. All the items in the retail store have some affinity with each other, strong or weak. Market basket analysis can help retailers to study the buying trends of a certain SKU. For example, two SKUs can reveal a strong affinity for a period of time and sales can suddenly reduce because of several factors ranging from the introduction of the new brand, the price increase of one SKU to unavailability of a certain brand in the SKU. This way marketers can understand the influence of such activities in the sales figure. Are you facing difficulties in devising new cross-selling strategies by analyzing huge datasets? Get in touch with our experts. How Can Quantzig’s Market basket Analysis Solutions Help Your Business? With the immense increase in competition, there is a dire need for innovation in marketing and sales strategies to retain, attract, and achieve better customer relationships. As a result, companies in the retail and CPG industry globally are facing issues in making use of customer datasets for developing the right strategy for customer segmentation and implementing the same for each segment to improve ROI. Quantzig’s market basket analysis solutions can help retail companies to optimize digital advertising investments, successfully improve marketing ROI, identify right media mix, devise the most profitable sales strategies, and optimize sales force to create maximum business value. 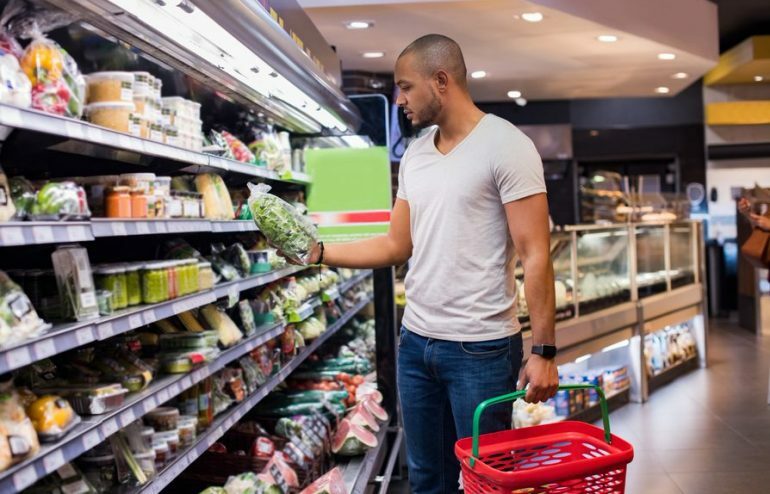 Additionally, Quantzig’s market basket analysis approach can assist in developing successful cross-channel and multi-channel retail strategies, by yielding insights into customer preferences and demands. By leveraging our customized analytics dashboard, companies can devise localized strategies to implement merchandising plans based on historic patterns, demographic segmentation and customer buying patterns. For modern banking services providers, understanding the customers is the foundation for a sustainable competitive advantage. The internal and external data sources available to banking services companies can be great sources for guiding product development, customer communication, innovation, and growth. This data can be further meticulously analyzed using advanced capabilities such as customer analytics through which banking services companies can get to know their customer at a more granular level. Furthermore, it can help in effective customer segmentation that reveals specific intelligence that could otherwise be obscured by the sheer volume of data. These insights aid banking services companies identify messaging strategies for marketing and customer service strategies and also gain a better understanding of the customer lifecycle and predict customer behavior. Why is customer analytics important in banking services? Establishing analytics as a true business discipline can help banking services pr oviders to grasp the enormous potential. Get in touch with us to know how we can help banking sector clients in establishing a customer analytics program to suit their organizational requirements. How can customer analytics help banking services? Most financial marketers are highly interested in the ability to gain a better insight on current customers. Demographics and current product ownership form the foundation of customer insight. However, behavioral and attitudinal insights are gaining in importance as channel selection and product use have become more differentiated. Take the instance of sentiment analysis and social media analysis that are helping companies analyze in-depth about their customer emotions on social platforms. Furthermore, scoring models such as FICO is especially useful for banking services companies to analyze consumers’ credit history, loan or credit applications, and other data to assess whether the consumer are likely to meet their payment obligations on time in the future. Customer analytics proves to be highly useful in banking services companies for product and channel development as well as economic forecasting, business improvements, risk analysis, and financial modeling. Using customer analytics for customer experience management (CEM) helps banking services providers in delivering personalized, contextual interactions that will assist customers with their daily financial needs. Moreover, if done correctly, customer analytics enables the real-time delivery of product or service offerings at the right time, thereby ensuring a better customer experience. One of the more common uses of ‘big data’ today especially for banking services companies is in the area of risk and fraud management. The applications of data mining have expanded well beyond providing internal purchase and balanced insights. It now even includes transaction patterns and social media interactions that can provide a leading indicator of potential losses or fraud. The integration of structured and unstructured data in banking services can also be leveraged for traditional risk management including pricing decisions. Another traditional use of customer analytics in financial services is the ability to increase the effectiveness and efficiency of sales and marketing. The ability to derive insights on the likelihood of purchase based on the available information on individual customers has ushered in a seismic shift in marketing from product centricity to customer centricity. Banking services companies and credit unions are now able to make unique, timely, and relevant offers based on available customer insight rather than offering products and services based on what the financial institution would like to sell. This allows banking services providers and financial marketers to significantly improve the efficiency of marketing spending and the close rate of sales leads. To learn more about how Data analytics solutions work in banking sector companies, request a proposal. The future is already here. The only drawback is that it is not evenly distributed. Banks services and companies in every other industry are already deploying advanced analytics to move their businesses forward. Quantzig has identified that almost every top bank lists advanced analytics among its top five priorities. Most plan to invest further in these techniques. A few banking services companies are already seeing the rewards. By establishing data lakes and centers of excellence and using machine-learning techniques these leaders have already built substantial foundations for their business. How do you know what analytics capabilities to invest in for your business? All you need is an analytics expert that can guide you on leveraging the available data by avoiding pitfalls in banking services and accessing the broad set of opportunities. At Quantzig, we understand these needs of our clients and are committed to helping them bolster their analytics capabilities. Request a demo to know more about our analytics solutions. Marketing analytics involves various processes and technologies that are used to evaluate the success and value of the marketing efforts as well as the act of identifying opportunities for improvement. Marketing analytics tools contain various metrics to measure the performance of marketing initiatives. In short, it helps evaluate which initiatives are actually bearing fruit and which are not. It gathers data from across all marketing channels and consolidates it into a common marketing view. From this analytical results can be extracted, which provide invaluable assistance in driving the marketing efforts forward. Diverse technologies are often implemented across several platforms for companies to advertise, market, and create brand awareness. The data generated from them was siloed. It is illogical for marketers to rely on intuition alone to get their initiatives and campaigns right, especially given the role of marketing in retaining customers and driving revenue. The top management would want to see the value of the marketing initiatives, and analytics is the best way to show them. Also, it is important to have a way to measure and monitor your campaigns and then demonstrate their value clearly to executives and stakeholders. Furthermore, marketing analytics tools help establish your value and how your work relates to revenue. 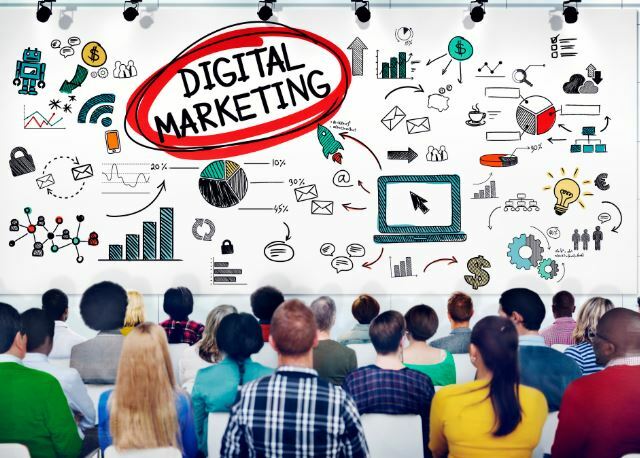 One of the primary steps for any organization to undertake before delving into marketing analytics tools is to devise an effective marketing strategy. There are many tools available in the digital marketplace that allows companies to construct tailor-made campaigns which revolve around their product and help brands speak highly about themselves. These tools are primarily based on the search engine audience sentiment about popular keywords, popular hashtags, and trends among many others. Marketing analytics tools will allow marketers to evaluate various aspects that encapsulate the digital marketing spectrum like incoming leads, conversions, and website traffic. If marketers incorporate this workflow, key insights can be easily derived at the end of the campaign. 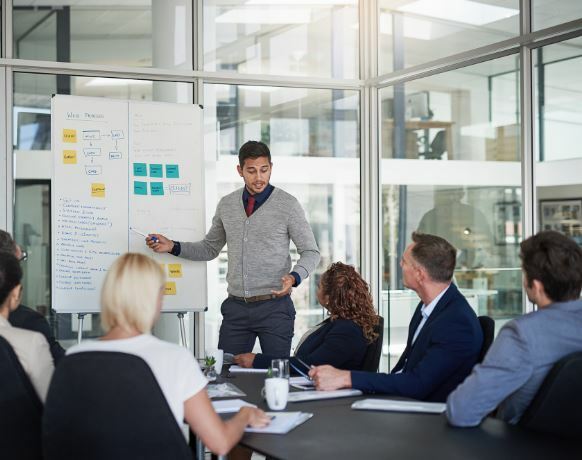 These valuable insights can be applied to the next campaign or can be used adaptively if the campaign is long-term or recurring. Large amount of data gets generated during the campaigning. This data can later be converted into meaningful insights. Marketers must ensure that they have covered and collated data elements getting generated from all the sources which were involved in a marketing campaign. Data from social media, emails, POS machines, call centers, beacons, and Wi-Fi needs to be collated and safeguarded. These data would often prove to be unstructured. This data can later be structured to get a clear understanding of how customers are shopping today. The data generated must prove useful for the marketing teams and stakeholders if you are to gain meaningful insights from it. The key to getting this right is to choose the most appropriate data visualizations, which can help identify patterns and interpret the data. Thus, it is important to choose marketing analytics tools that allow you to choose or customize your visualizations instead of using default charts for displaying data. In order to be effective, marketing must be real-time and predictive today. You must be able to analyze the data, make accurate predictions, and take data-driven decisions to enhance each step of the customer journey. Using marketing analytics tools with machine learning and AI capabilities make these tasks easier to do and with minimal errors. 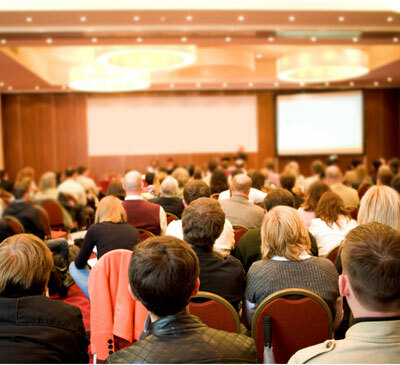 Global enterprises pay extensive attention to providing superior client experiences. Due to the advent of several modern enterprises that have absorbed phenomenal technical capability and a fresh approach to client servicing in entirety, client experience has become a highly important factor today. Marketing analytics tools can help companies know about product expectations from a segregated customer list. This enables an organization to just sell an already desired product via targeted marketing rather than hard-selling a product offering.